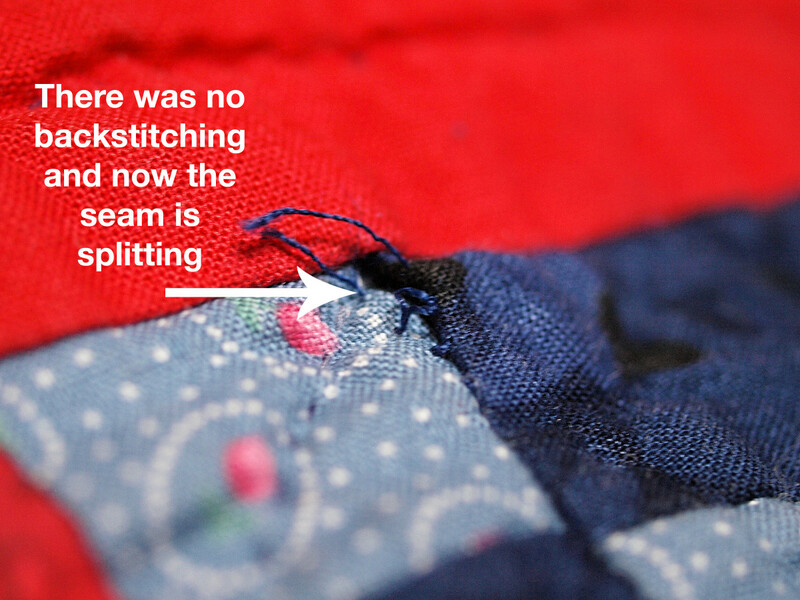 Don't let any quilter tell you that they've never made a mistake. We all have, especially when we were starting out. Some of us, who are stubborn and don't like taking classes, like me, make a lot more than others. 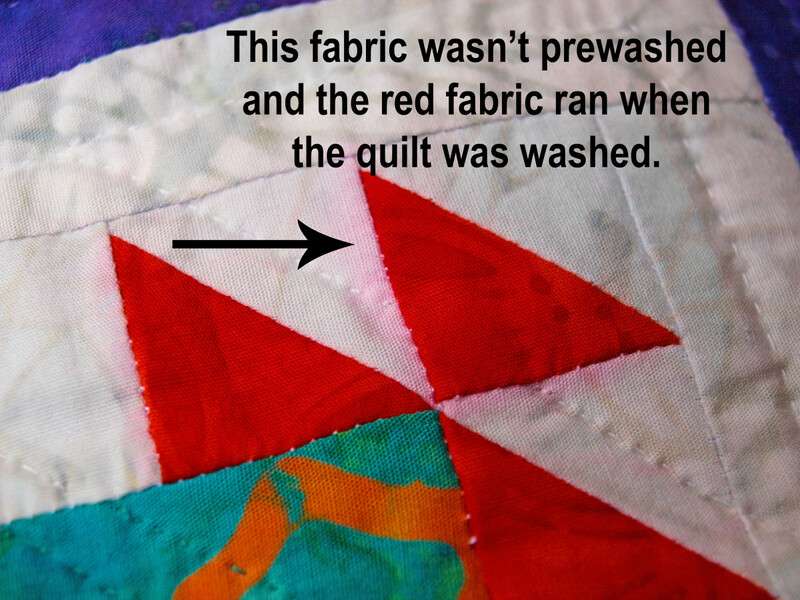 I've been quilting for about 25 years and, even though I hate to admit it, still make some of these mistakes. The good news is that you can avoid most of them with just a little research and preparation. Unless fabric care instructions say otherwise, always prewash your fabric. Even seasoned quilters forget to prepare their fabric before using it, but it's one of the most important steps before beginning a new quilt. 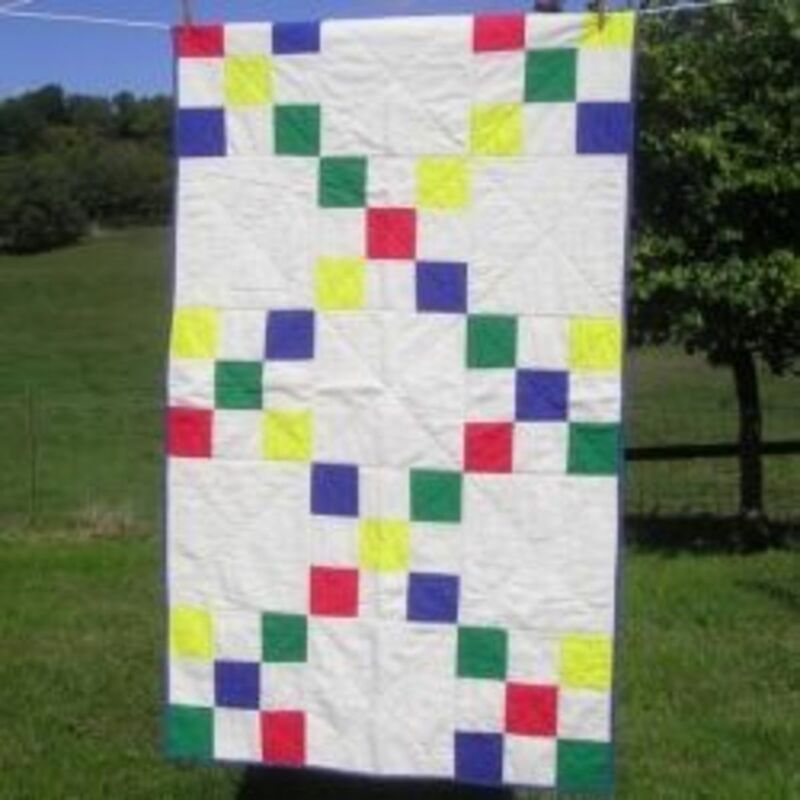 If you are using fabric that is machine washable, like 100% cotton which is what most quilts are made of, it should be washed. Washing gets out some of the chemicals that may have been used in the fabrication process. For many colors, like red, washing gets out some of the excess color that can "bleed" later on. Washing also helps prevents further shrinking. There are some fabrics, like silk, that shouldn't be prewashed. When in doubt about whether the fabric should be washed, follow the instructions that are listed on the end of the bolt. There are some beautiful and intricate quilt designs out there, and one thing that quilters can do really well is make those designs look easy to make. 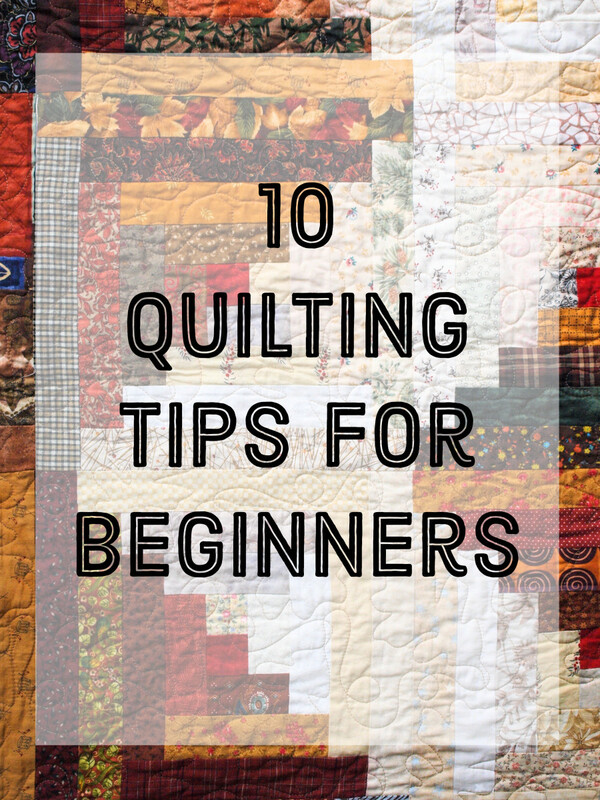 But don't be fooled when you are starting out, quilting isn't always as easy as it looks. Even quilt blocks that aren't really intricate can be pretty difficult to put together. Start out with an easy pattern. You picked out the perfect fabric. It's been washed and pressed. You are almost done cutting out the pieces for your very first quilt when you realize there isn't any more fabric to cut. Your heart sinks and you jump in the car to head to the fabric store, only to find out that the perfect fabric you chose is sold out. I know from first hand experience what a lousy feeling that is. 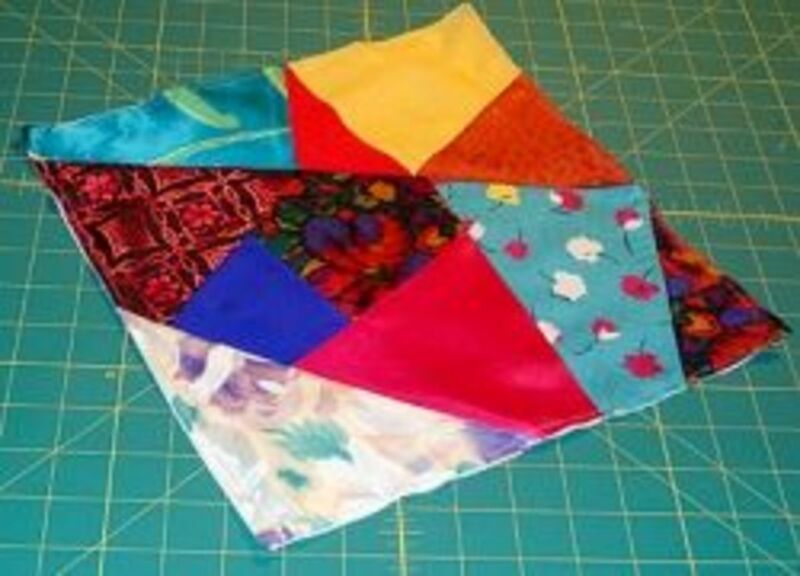 Many quilt books have tips on estimating how much fabric you are going to need for a project. Good planning will help ensure that you don't run out. My personal rule of thumb is to figure out how much fabric I will need, and add an extra half yard. It may cost a little more, but it's worth it, and then you have some extra for a future project. 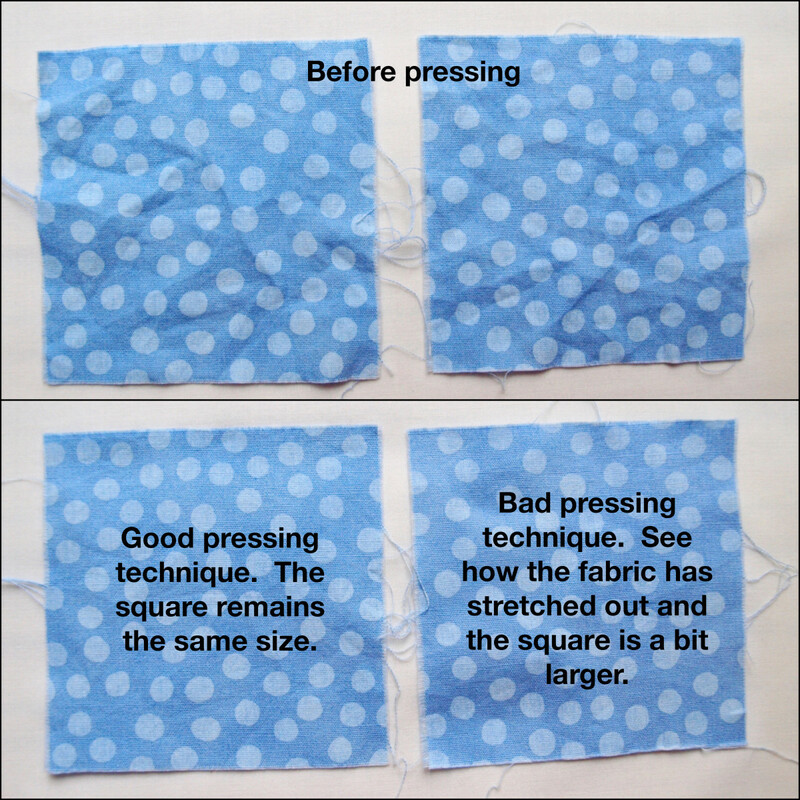 Pressing is more important than you think when making a quilt. 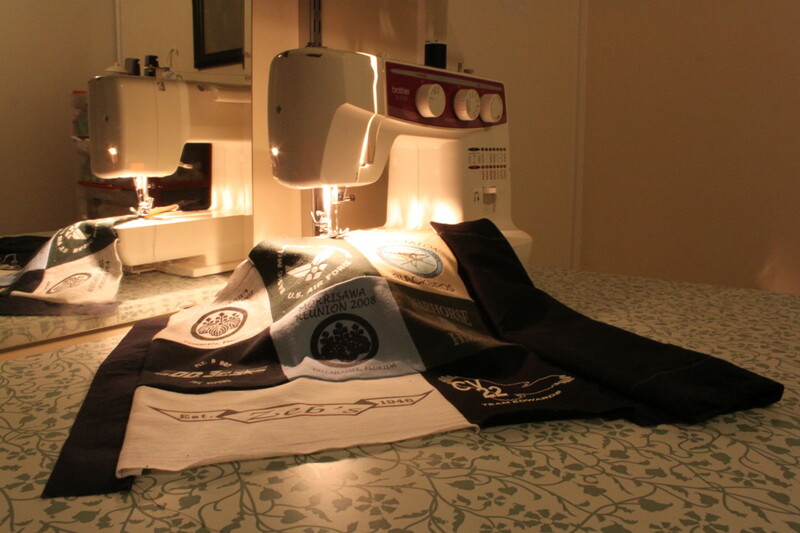 A common mistake when preparing fabric is not pressing enough, and leaving lots of wrinkles. Even more common is pressing too hard, which causes the fabric to stretch and warp. Both of these mistakes will pretty much guarantee problems down the road. Wrinkled fabric will stretch out when sewing pieces together, making a block end up the wrong size. Stretched fabric will shrink back and mess up the block too. Gently blot the fabric to press. Swipe side to side gently as well. If you have a persistent wrinkle, use a little steam to help get it out. Stick to one type of fabric, preferably 100% cotton. This is an interesting problem because we quilters often like to use special fabrics, like a part of a grandmother's wedding gown or a special memento from a child's favorite sweater. Unfortunately, these are tough fabrics to sew with, and a project like that probably shouldn't be tackled on your first quilt. It's best not to mix fabric types. Don't get me wrong here though. 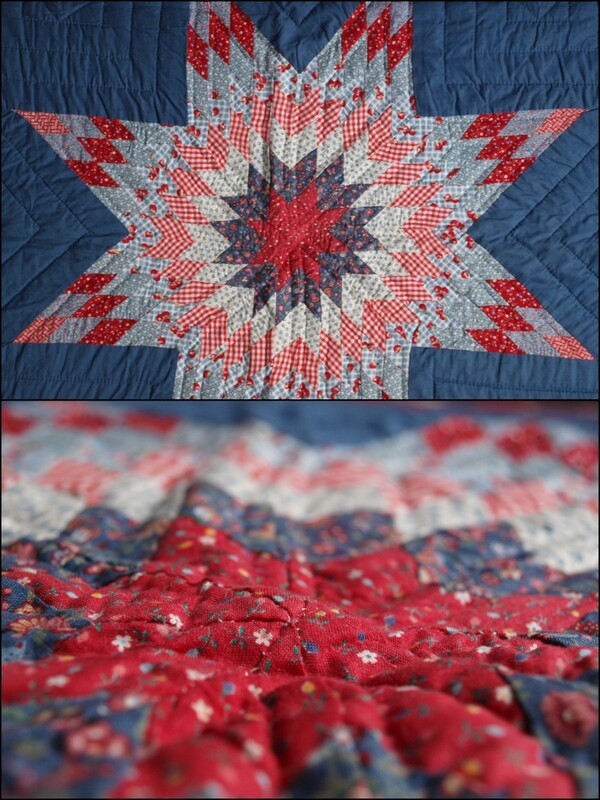 There are many exquisite quilts made with all sorts of fabrics. They just need different preparation, sewing and care methods. Always use a consistent seam allowance. You're at the point where you have sewn all of these lovely pieces of fabric together and produced 12 blocks that you are ready to sew together. You start laying out the blocks and realize that they aren't all the same size. It's a nightmare, believe me. I've had to fix a couple of quilts because of it. 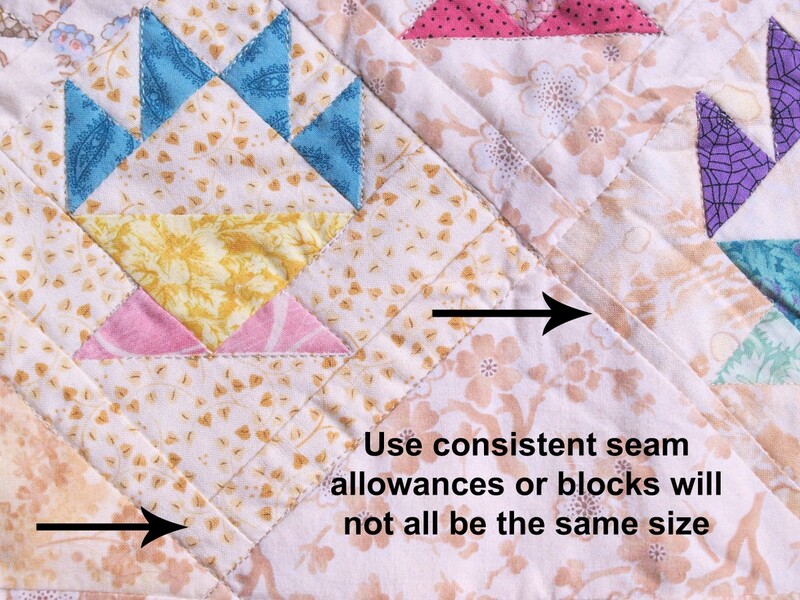 All quilt books will tell you to use a 1/4 inch seam allowance when sewing pieces together. Follow that rule and, more importantly, be consistent with that seam allowance. 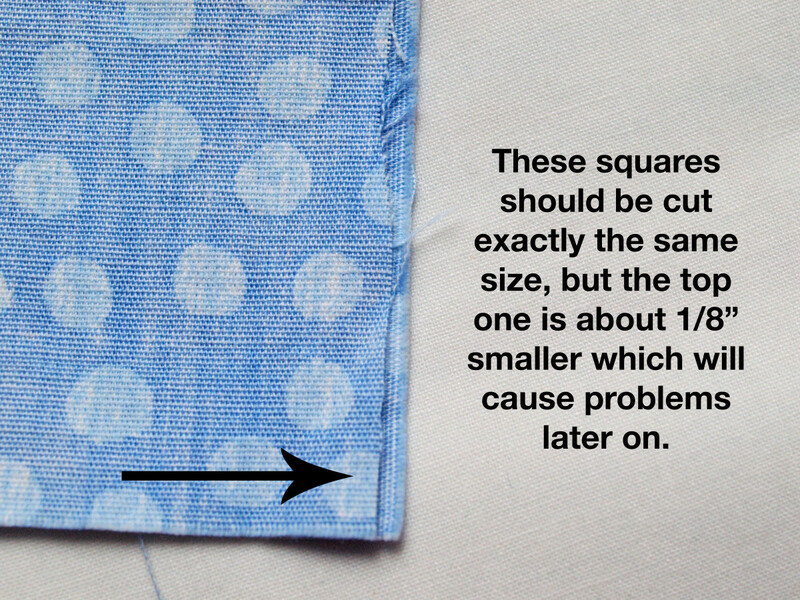 Even sewing an 1/8 of an inch one way or another will add up to a big difference in a quilt block. I can say this now since I bit off way more than I could chew with my first, and even second, quilt. Save yourself aggravation by not choosing a large quilt for your first project. I didn't think I would ever finish, so I started rushing and got sloppy. Choose a simple and small project to start. There's an old saying in the quilting world: "Measure twice, cut once". Take this advice to heart. It's a sad waste of fabric and money when you've cut 50 squares that were supposed to have been 4" into 3 1/2" by mistake. I have three drawers full of fabric scraps, many of which are the result of cutting fabrics the wrong size. Don't forget to backstitch, whether you are sewing the individual pieces of fabric together, sewing the blocks together, or quilting your piece. It's no fun to go back and try to fix stitching once a quilt is finished because you didn't backstitch. 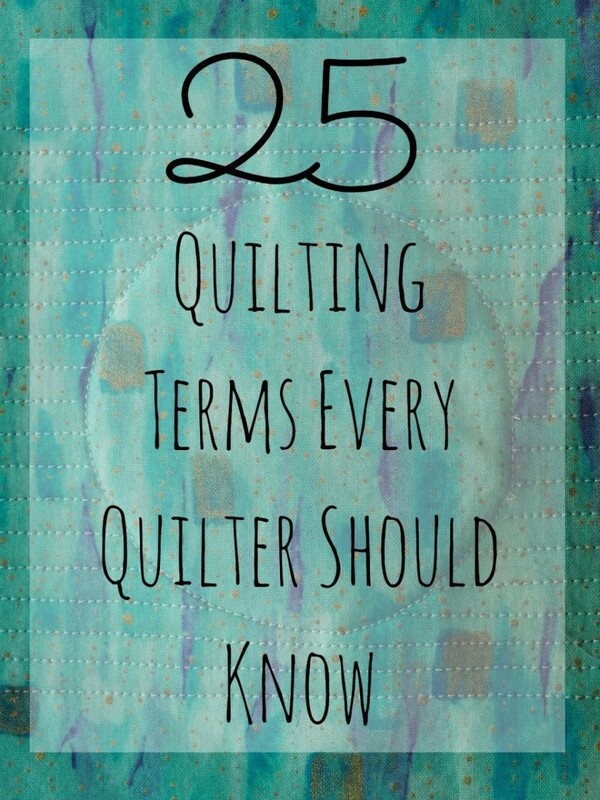 A good quilt book for beginners should have guidelines on this subject. 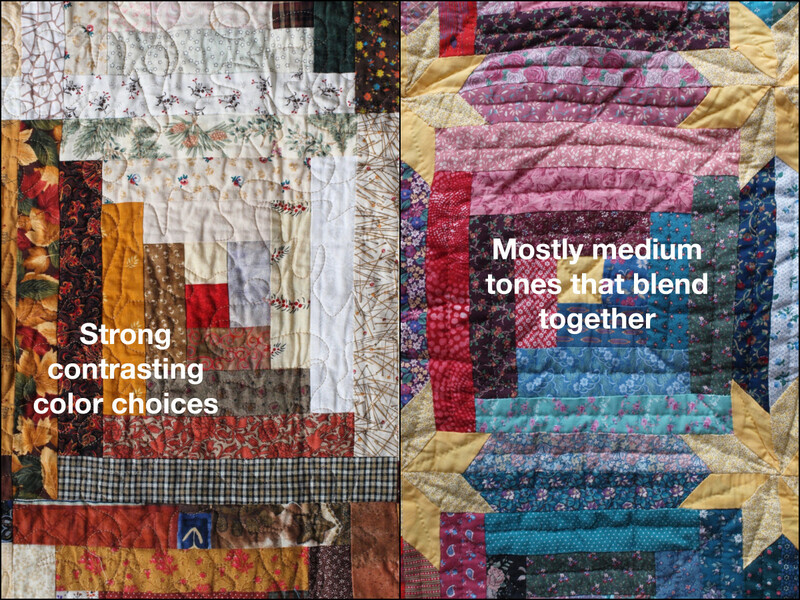 This is a subjective problem since beauty is always in the eye of the beholder, but color choice goes a long way in quilting. Fabric hues are generally divided into three categories, lights, mediums and darks. If you choose all the same hues in different colors, the block design tends to get lost. 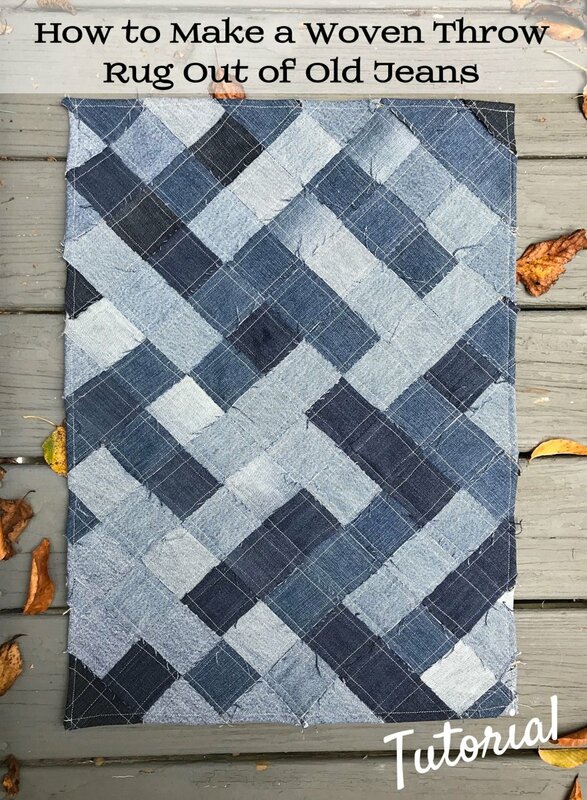 Of course sometimes you want a more monochrome look, but most of the time, try to stay away from just quilting in one hue, especially if your design is a little more intricate. You want to show off all of that hard work. 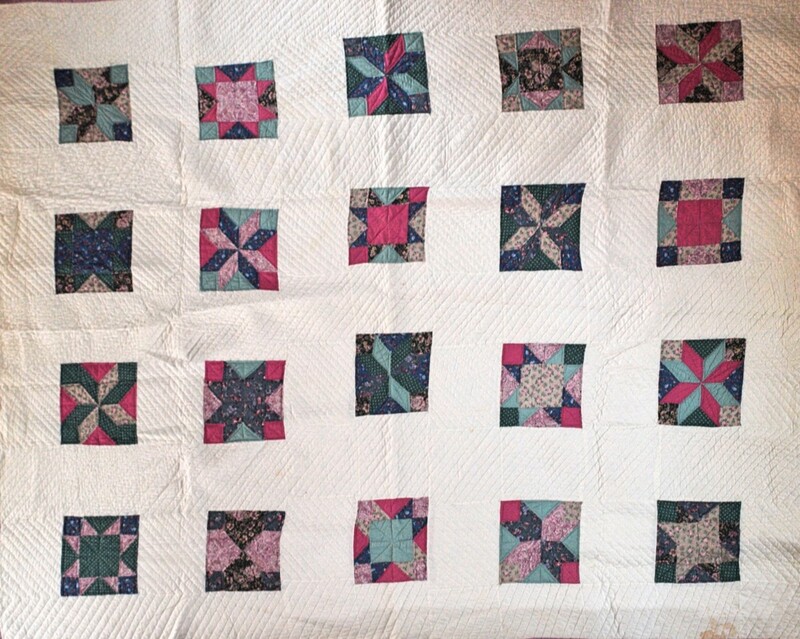 I remember speaking to a woman in her seventies many years ago about her quilts. She was a member of the quilt guild I was in, and had been quilting for most of her life. I was showing her one of my works in progress and asking her about a problem I was having. I'll never forget the advice she gave me. She essentially told me that no amount of planning and preparation will produce a perfect quilt. In fact, she said, she didn't really think a quilt was made from the heart if it didn't have at least one mistake in it. I'm guessing she was saying that to make me feel better about my quilting, but it's always stuck with me, and it's advice I give to others. Sorry Bertrand Patty, I can't really help without seeing what the problem is. Did you mean to say batting instead of barting? If it's along the edge then you may be able to fix it with your binding, but again, I'm not sure. 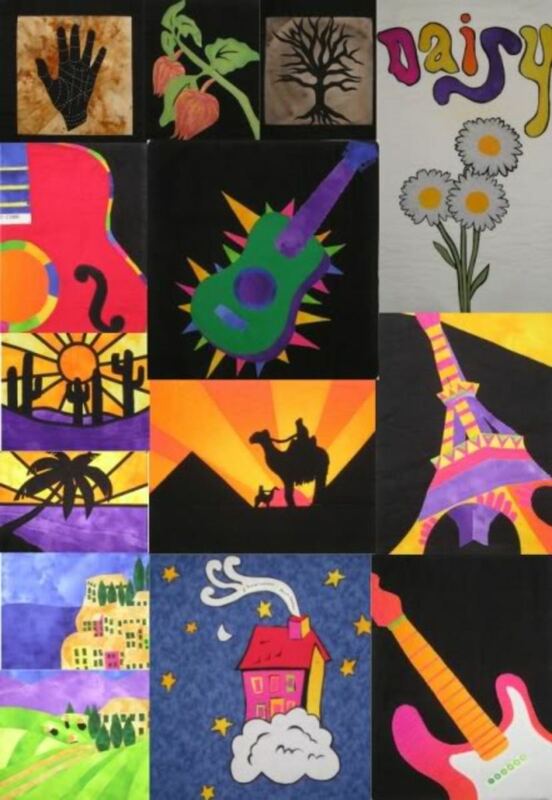 Perhaps you could take it back to your long armer and he/she could help, or if you are a member of a quilt guild or have friends that quilt, they could help you. good Luck! I did not trim the quilt well after getting it back from the long armer and now one side shows Barting in certain spots on the top. 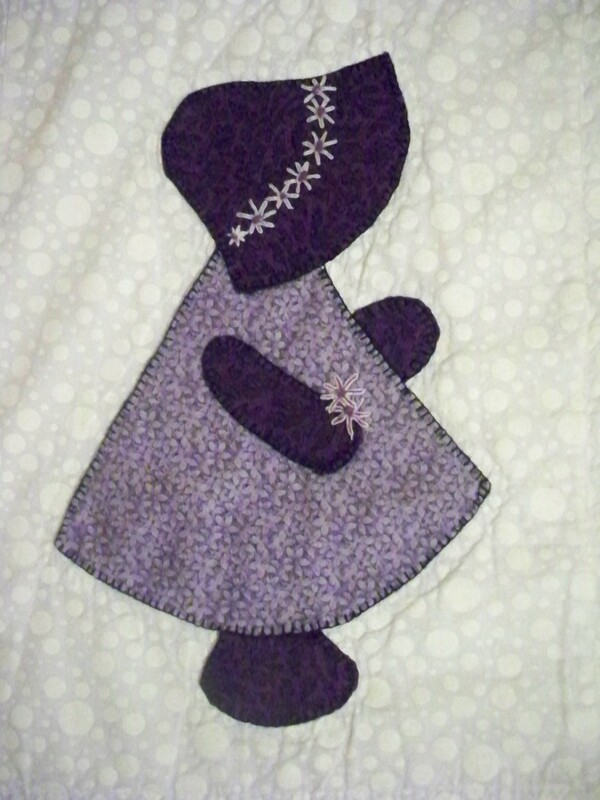 Lovely quilting ideas and nice tips. 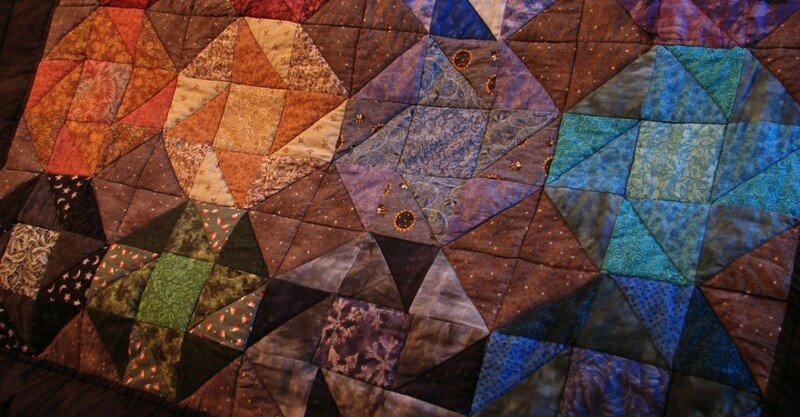 I have always loved patchwork quilts but have never tried my hand at them. They are so pretty and could become a treasured family heirloom! Is there a lower rung on the ladder than beginner? That's where I would be standing. No chance I do this, but I just stopped by to wish you a great week. This comes at a very opportune moment as I have been thinking about starting a little bit of patchwork after a break of many years:) A friend has been improving in leaps and bounds and it is hard for me to sit by and not participate in all the fun. Thanks for sharing your tips.